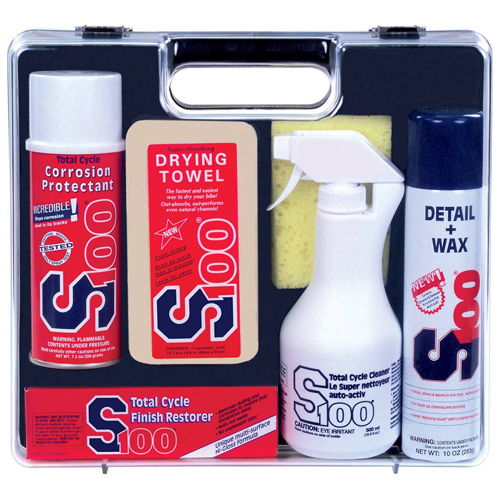 Got an interesting ride you’re proud of that you’ve cared for with one or more S100 Cycle Care Products? 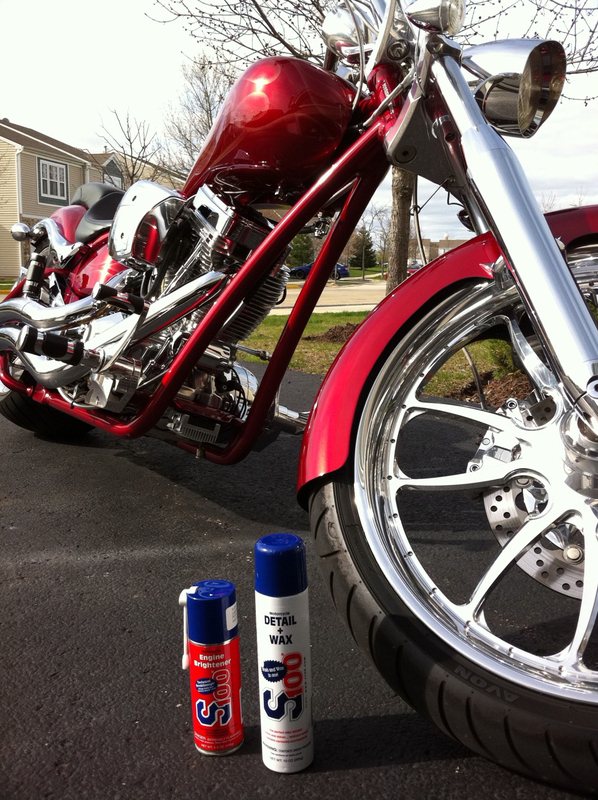 Send us a photo, description, and brief outline of how S100 Cycle Care Products have helped you keep your car in top shape at s100broimp@aol.com. Please state in your email that you authorize S100 to show your ride and use your statements on its website. 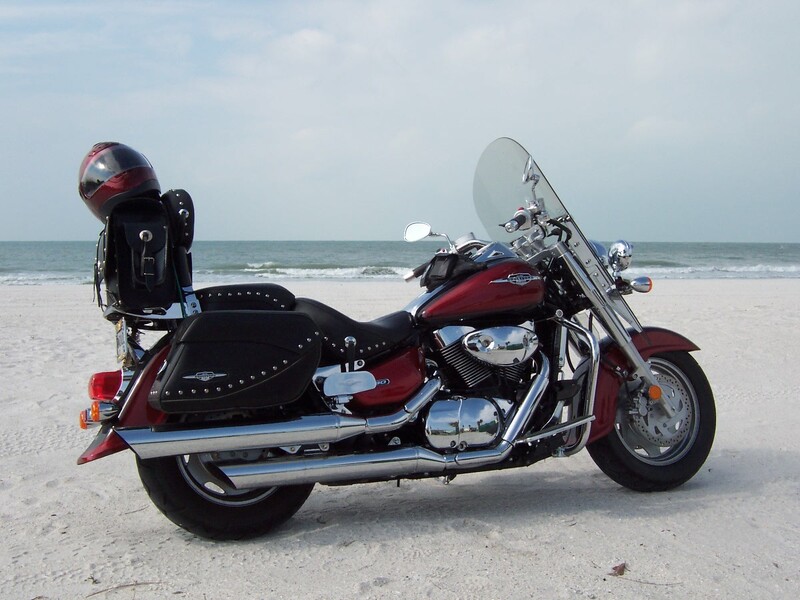 If we choose your submission, we will ship you an S100 Cycle Care Set, shown at right. S100 Total Cycle Cleaner...has made cleaning this bike a snap…. I have a 1993 Harley Davidson FXSTS with a lot of chrome and added accessories…has 21000 miles on it and turns heads wherever I go. I owe a lot of this to your S100 Total Cycle Cleaner. It has made cleaning this bike a snap…comes out spotless. Spray it on, hose it off and I dry it with compressed air and then a nice finishing wipe with a soft towel. Keep up the good work as all your products are excellent. Now I don't have to be afraid of the rain for the chore of keeping my Harley clean just got a whole lot easier. I am absolutely enthralled on how well your product works. 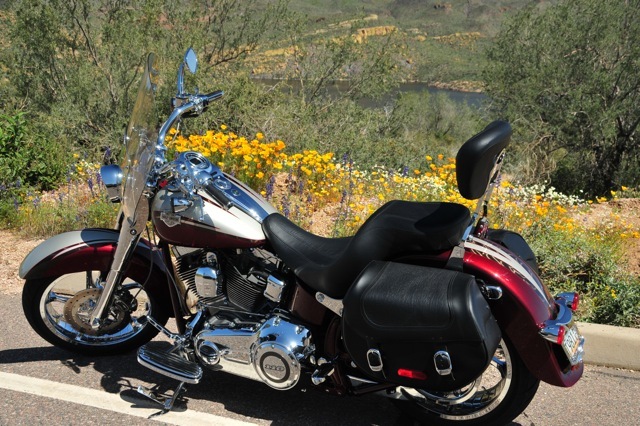 As the new owner of a 2010 Harley Davidson CVO Softail, that has just about everything chromed, I was throughly dejected at the thought of how in the heck I was going to clean my bike after my first ride in a rainstorm. And it was a first in six month, sixty mile downpour through the Arizona desert at that. I had the image of huge water spots and hours of cleaning and re-polishing. As I put my bike up on the lift, my neighbor, with a huge smile on his face, came over to see how I enjoyed my first ride in the thunderstorm. I asked him, for he is a very experienced motorcycle guy, what kind of soap I should use. Car soap? Dishwasher soap? Window-washer soap? He told me to wait and came back with this stuff called S100. He told me how to use it and handed me the bottle. I was absolutely floored as I watched the road the road grime, bugs, and dirt I didn’t even know was there as I was spraying the S100. 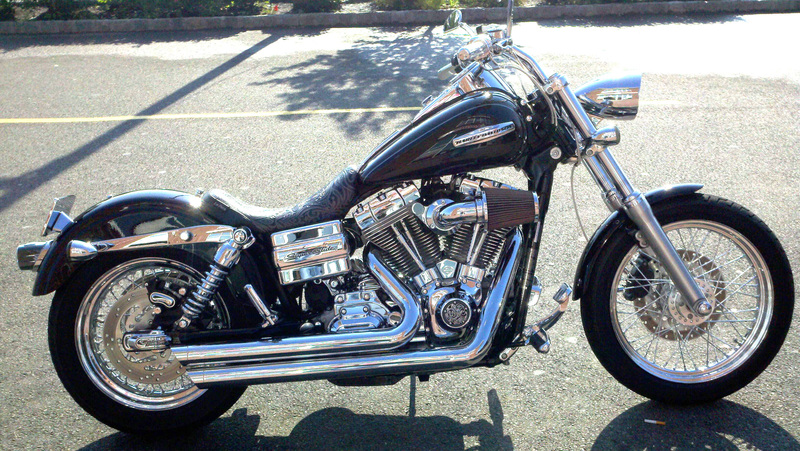 Within 45 minutes my Harley was back to shiny and beautiful with glistening chrome. Needless to say I went out and bought a bottle for myself and another bottle for my friend who told me about you. Really great to know this product is out there. Now I don’t have to be afraid of the rain for the chore of keeping my Harley clean just got a whole lot easier. I will not use anything else on my bike. I trust S100 products to protect my investment for the long haul. I am so excited about this product and how awesome it works. I own a 2009 FXDC and have but chrome on almost everything that can be changed to chrome. I used to spend a few hours a week cleaning and polishing the bike before I started to use the S100 Products. Now my bike looks better than ever and in a fraction of the time and effort. I will not use anything else on my bike. I trust S100 products to protect my investment for the long haul. S100 gives me the peace of mind I need. I have tried just about every product on the market and nothing does the job as quick and as easy as S100. I have been a fan of your products for years. I have a few bikes with very expensive paint jobs and I am very picky about how they look, I have tried just about every product on the market and nothing does the job as quick and as easy as S100. This is the only product I use on my bikes period. The shine and protection is amazing and it goes on and wipes off with incredible ease! No residue or build up at all and it works wonders on chrome too! Your product has exceeded my expectations with each and every application for over a decade and for each of my three different bikes. As a grandmother, I can’t spend hours cleaning my bike, whether it’s in the wind or parked…your S100 makes all her parts glisten, even on a rainy day!!! 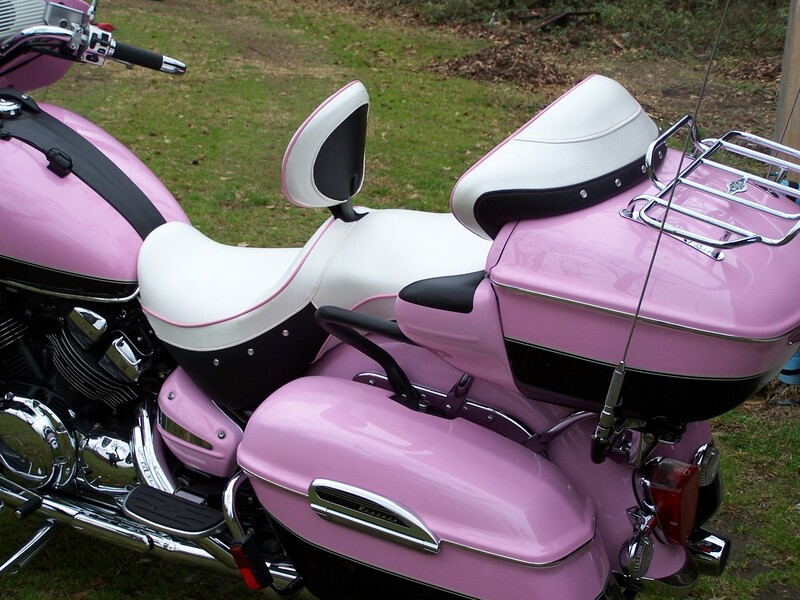 I ride it 200 miles round trip to visit my grand daughters…I depend on you to have me looking good. I wouldn’t disappoint them and you haven’t disappointed me. Just wanted you to know…you’re a part of the family. Your product has exceeded my expectations with each and every application for over a decade and for each of my three different bikes. My son...came over and exclaimed that my 26 year old bike looked better than his 6 year old machine. Just a short letter to let you know how impressed I am with your S-100 product line. 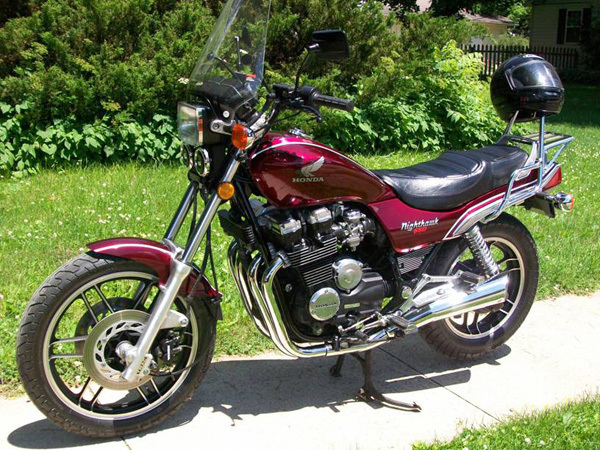 The following is a 1983 Honda CB650SC Nighthawk. It was purchased after sitting in a barn for over 3 yrs. I love “barnyard finds.” It was covered in dust, bird droppings and oil/road grime from the last time it was used. I figured I had at least half of a day’s cleaning ahead of me, if not more. A friend suggested and loaned me your S-100 Care set with a extra can of S100 Engine brightener. I started with the S-100 Total Cleaner, then the Engine Brightener, lastly followed with your Detail & Wax. I was impressed to say the least. Total time invested was approximately 90 minutes to get the results you see [here]. My son owns a 2003 Yamaha YZF600, he came over and exclaimed that my 26 year old bike looked better than his 6 year old machine. Thanks for making such great products. While others are spending 4 hours washing and detailing their bikes, we are out riding. 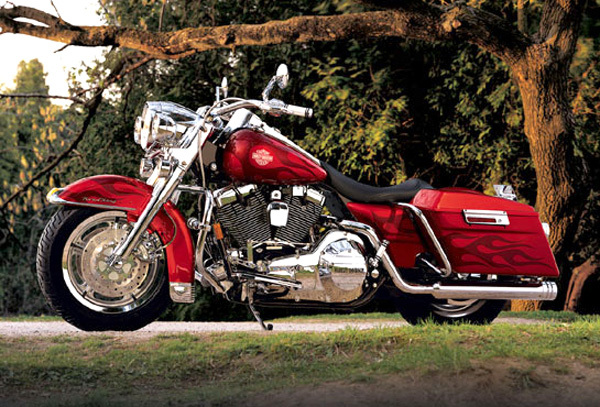 The bike is a 2001 Fatboy. I am in the military so between deployments I ride as much as I can. Considering the small amount of time I have been in the States since I bought it the 20,000 miles is a lot. 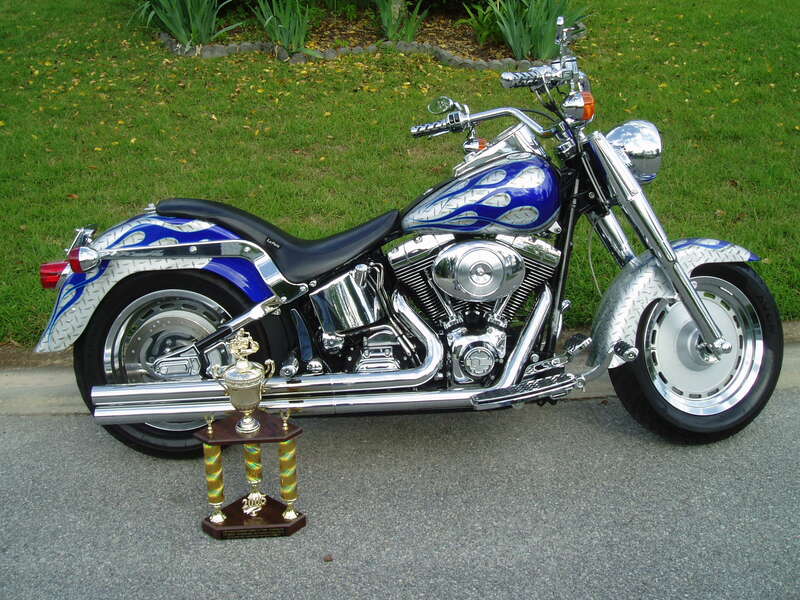 We are definitely proud of it and the bike has won many best of shows and best in class. Most recently Best American Custom at the Great American Bike Show in Atlanta right before I was deployed here to Iraq. I have the best set-up ever for cleaning our Fatboy. I buy the S100 Total Cycle Cleaner by the gallon at Renegade Cycles in Savannah. I fill the hopper on a paint gun hooked up to the air compressor. I spray the bike down and then hit it with the garden hose. Next I dry it with the gas powered leaf blower. By the time I am done drying it my wife is ready with towels and she details one side while I detail the other with the S100 Detail and Wax. No kidding, we can wash and detail the bike in 20 minutes. While others are spending 4 hours washing and detailing their bikes, we are out riding. Our time together and time riding is precious so we are real thankful for your great products. When the weather is bad we take the time to put some S100 Cleanser and Paste Wax and S100 Engine Brightener on the bike to keep her looking new. [S100] is the best thing to happen in the motorcycle cleaning area ever. I just sold my older bike and bought an 07 Boulevard c90 and have already put 7,000 miles on it traveling mountain roads and beaches and use only S100 products to keep it looking great. It is the best thing to happen in the motorcycle cleaning area ever. No more time cleaning when you could be cruisin’. I highly recommend your products! One usage and your hooked. When I pull up to my local bike hang outs, I can't help noticing all the looks I get from my fellow bikers. Just wanted you guys to see how well S100 products perform on my bikes. 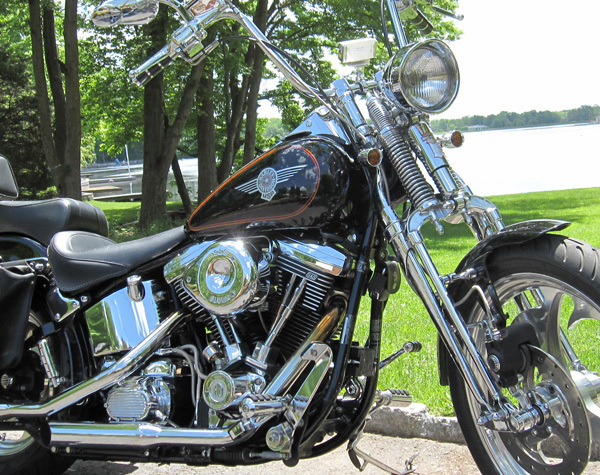 They make my 1998 Heritage Softail, which I repainted and chromed to make it appear like a 50’s cruiser, and my custom beach cruiser shine to no end using only S100 products. From your wheel cleaner to your total cycle cleaner (both of which let me spend more time riding then cleaning) and finished off with S100 detail wax. When I pull up to my local bike hang outs, I can’t help noticing all the looks I get from my fellow bikers. They always ask how I keep my bikes so immaculate, I always respond S100. I am very choosy what I use on my bike and I think this product is great. I would recommend S100 to everyone.I am very choosy what I use on my bike and I think this product is great. I would recommend S100 to everyone. Many of my friends have been telling me for years over and over that I spend way too much time cleaning my bike compared to them. I always thought it was simply because I did a better job on my bike. 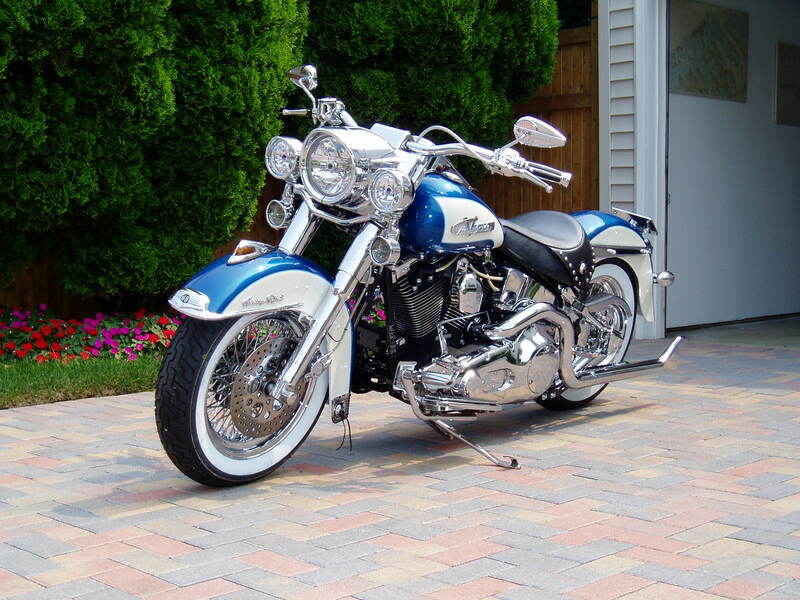 After all, I do have custom paint ad lots more chrome. I have always spent a full day detailing my custom 2004 Roadking. In fact I didn’t even get it wet for the first year I owned it. Then the unspeakable happened on one of our Sunday rides. In spite a few clouds we decided to go on an early breakfast ride anyway. It was a little cloudy when we left and quickly got worse. The next thing I knew we were caught in a heavy down pour. After spending almost all day Saturday detailing I was upset because my beautiful bike was trashed. Later that afternoon the rain stopped and a buddy came over to my house with a bottle of S100. He said, “can’t make it worse so get the hose out.” Well, to make a long story short, I was absolutely amazed on how quickly we cleaned up my bike. It looked as good as if I spent the whole day on it. After that I was sold on S100 and use nothing else. I am very choosy what I use on my bike and I think this product is great. I would recommend S100 to everyone.